NOTE: We supply this product to order size. +/- 12mm Fabric Tolerance. 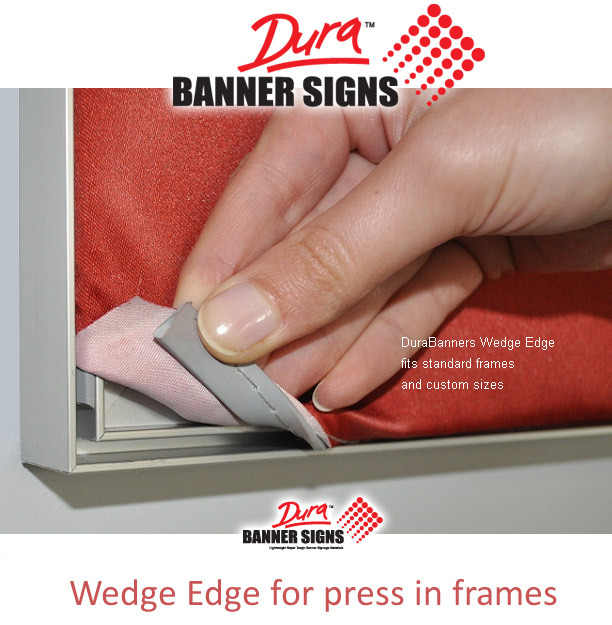 The special 'wedge edge' is pressed into a moulded window frame surround or sign frame, the GloBanner is special fabric with illumination properties and holds superb front color for non illumination where in the display is static. Re-usable graphics, swap over banner designs and update to new season fashion trends are some of the advantages Globanner offers shop managers and owners. Globanners are special fabric banners designed to be used for LED rear illuminated signage OR static 'swap over' graphic displays instore and mall. Shopfitting frames, window surrounds, panel upright isle ends, MDF counters and more. The nature of 'press in frame' allows customers to have a wide selection of POP and Display options by their local shop fitting supplier or visual marketeer. DuraBanners (GLBA) is a sheen knit weave that is popular with advertising agencies and commercial interior designers shoffitting suppliers and department store visual merchandising. The material gives stunning appearances illuminated and non illuminated and is well liked by quality critical clients such as fashion industry display. GLBA is fitted with Wedge Edge for press in frames sometimes called rubber strip, tension frame, re-usable frame and store poster moulding. Wedge edge is available to suit popular tension frame sizes. 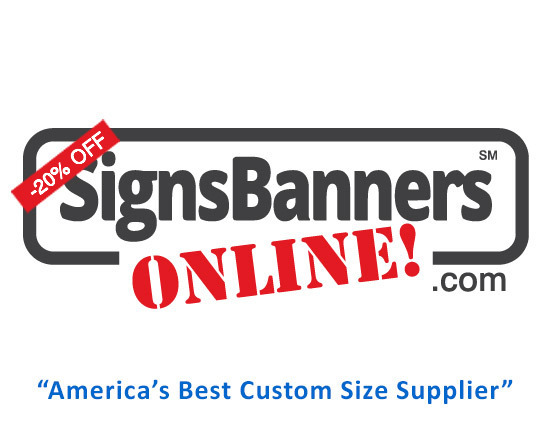 Larger sizes, cheaper purchase prices, easy to manage graphics and other advantages are why shop owners demand easy to use swap over banner graphic media such as the popular Globanners range of printed banner displays. #1 How do I measure the banner size needed? Measure you dimension from the inside lip to the opposite inside lip. The Wedge Edge will tension the banner to the inside lip. See below step by step instructions. #2 Maximum size: 10' - 3 metre max height x 30' 10metre Roll. Tip: Large sizes please contact for special run. Cheaper than instore electronic media. Swappable. Static displays with removable fabric posters makes swapping season, new sales etc very easy to manage and update quickly. Easy to attach wedge edge included ready to press in. #1 Use for Illumination. Max dimensions 10' - 3 metre max height (no join) x 30' 10 metre roll. #2 Use for NON Illumination (joins available) Any size available. #3. No mimimum dimensions, No minimum roll length. 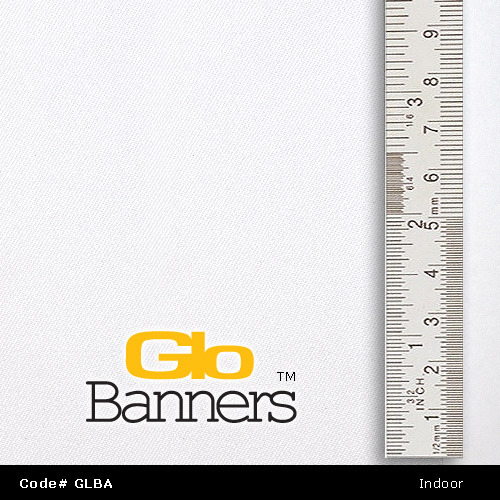 Note: GloBanners is commonly used in modern retail environments for lighting effects, moods and placing advertising and branding within a department. Ideal for sectioning brands, department store visuals and barn ends. Ideal for illuminated or non illuminated isle covers, back displays and re usable frames. Department stalls and malls, theatre and stage mood sets, entrance and corporate foyer, illuminated led light box displays, shopfitting and store design, overhead bulkhead and fascia displays instore, window illumination and covers. GloBanners fabrics can be manufactured with wedge edge and custom sizes to your needs. Use modernizing your store displays, enhancing brands and mood sets. Ideally suited for larger graphic instore media with a touch of class that is easy to update cheaply.